Bangladesh fought back well, but had no answers to Jason Holder as they collapsed for the second time in the Sabina Park Test to lose by 166 runs. In terms of the margin of defeat, it was an improvement on their innings-and-219-run loss in the first Test, but Bangladesh didn’t threaten the Windies for a moment in the second Test despite bowling the home side out for just 129 in the second innings. Having taken a 205-run lead after the first-innings exchanges, the Windies were always in pole position, and despite the rollover for the lowest innings score of the match, they set Bangladesh 335 to win. There were bits of resistance, chiefly from captain Shakib Al Hasan, but not enough to prevent Bangladesh from being bowled out for 168. 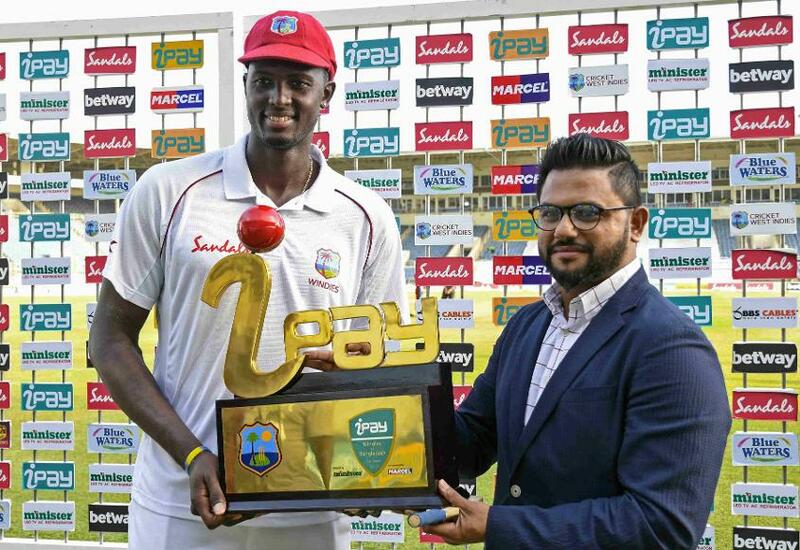 Jason Holder, the Windies captain who took 5/44 in the first innings, returned 6/59 to complete a fabulous match performance as Bangladesh were shot out for a three-day defeat. The day began with the Windies on 19/1 in their second innings, having lost first-innings centurion Kraigg Brathwaite on the second evening. The innings never really took flight as Shakib bowled outstandingly well. He came on early on the day and sent back overnight batsmen Devon Smith and Keemo Paul first, both batsmen out stumped, and then had Kieran Powell’s number. That left the Windies on 60/4, which became 64/5 before Roston Chase walked in and scored a good 32 in 60 balls, the best effort of the innings. There were no partnerships of note as the wickets kept falling, Shakib giving his side a chance with 6/33. Bangladesh, chasing a target more than double of what they had scored in the first innings, stuttered at the start again as Tamim Iqbal was sent back for a duck by Holder. 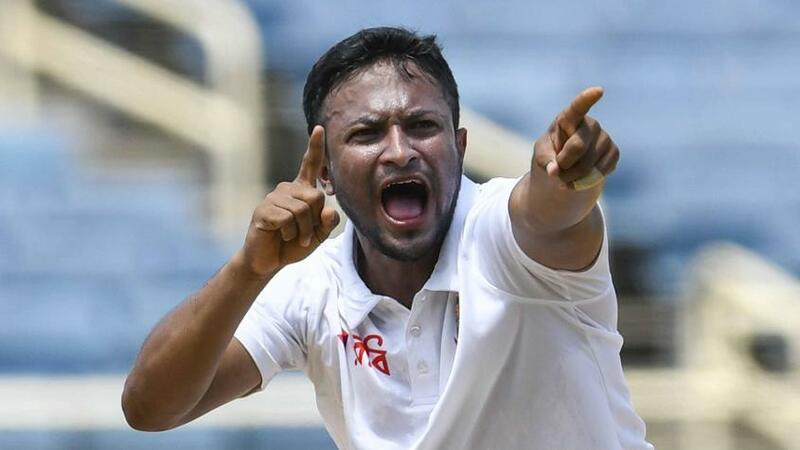 Liton Das, the other opener, chose attack as his strategy, scoring a run-a-ball 33, while Shakib scored 54 to make it a good outing for him individually – 86 runs and six wickets – but apart from Mushfiqur Rahim’s 31 from No.6, there was no other contribution of note. The innings lasted just 42 overs as Holder reigned supreme, finishing with his career-best innings as well as match returns – 11/103. He was named the Player of the Match. The series result helped the Windies swap positions with Bangladesh on the MRF Tyres ICC Test Team Rankings. The Windies are now in eighth place, while Bangladesh slipped to ninth. The two teams will next face off in a three-match one-day international series, starting 22 July in Providence.